Your Instagram feed is about to be filled with engagement ring posts ('tis the season), so you might as well just embrace it, right? Regardless of our relationship status, we'll simply never not care about which engagement trends are rising high and which are falling fast. That said, we're of the thinking that this doesn't mean a ring style you may already own is ever really "out." It just means that people may be taking a breather from it in favor of another style that's trending for one reason or another. This time around, our curiosity led us to Ken Leung of NYC's Ken & Dana Design. (Warning: The pieces will make your jaw drop.) We asked Leung which engagement ring trend people are buying less of this year and what they're buying instead, and his response honestly surprised us. "As we head into 2019, we are seeing our customers move away from the once popular halo settings," Leung told us. Believe it or not, pear-shaped center stones are back! The Ken & Dana customer is also gravitating toward oval-shaped stones as well as rose gold settings. Another big trend we are seeing is the request for vintage-inspired and/or ornate-detailed engagement rings as well as wedding bands. Old is new again!" Given the number of halo settings (round stones surrounded by pavé diamonds) we see on a daily basis, it could be that it may have gotten too popular and peaked. But luckily, it's a classic, so it will return. 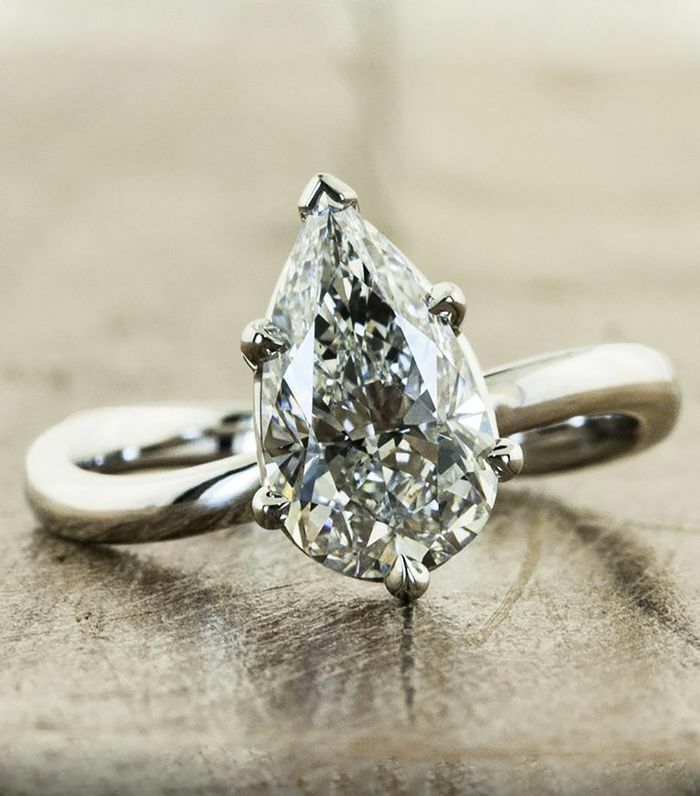 In the meantime, we're very intrigued by the return of pear-shaped stones. Keep scrolling to shop the most stunning iterations on the market. 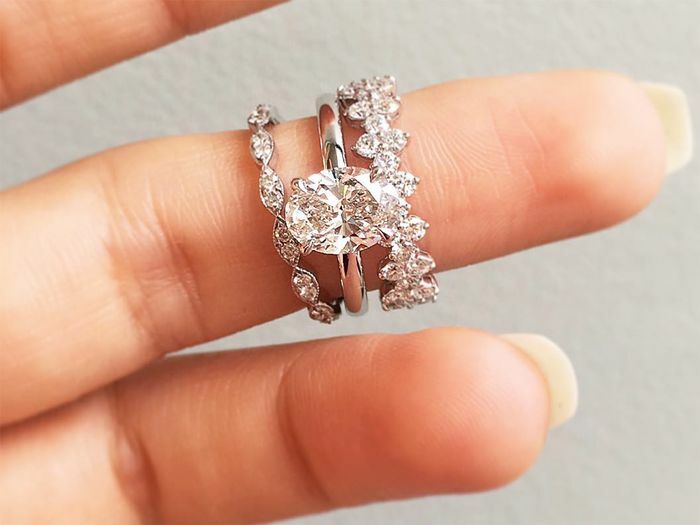 Next up, the engagement ring trend you'll see on lots of fingers in 2019.